Following the crowning of Miss America, the state has the job of filling the gap. Who will be the next Miss [state]? Recently, with New York’s prior wins, we have had the honor of crowning Shannon Oliver and Amanda Mason as Miss New York 2012 and 2013, respectively, following the crowning of Mallory Hagan and Nina Davuluri as Miss America. This year, as Kira took the national stage for the first time as Miss America, New York had the difficult job once again. 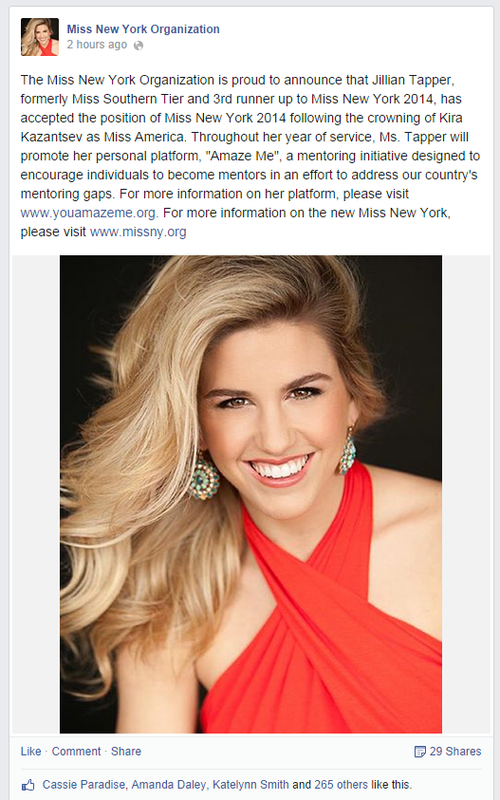 Who will take the title of Miss New York? Being called in Top 5, normally that is the end. There is that statement muffled about “should the winner no longer be able to fill her responsibilities, the first runner up will take over. But normally that goes ignored. Why would a titleholder be unable to fill her responsibilities? In this case, because she now has a new job; Miss America. 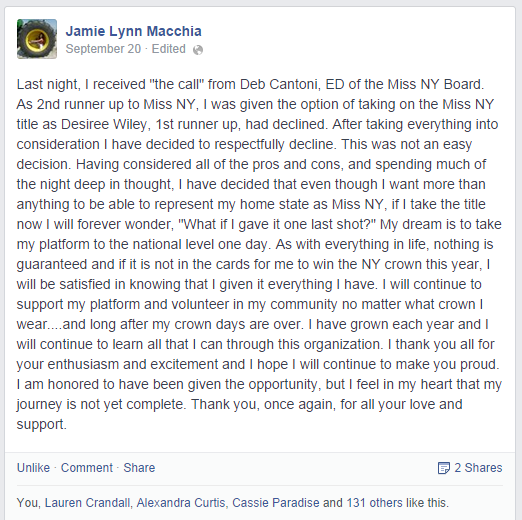 And so it came down to the Top 5 to decide, who will be Miss New York 2014? Our new, Miss New York 2014 is Jillian Tapper!